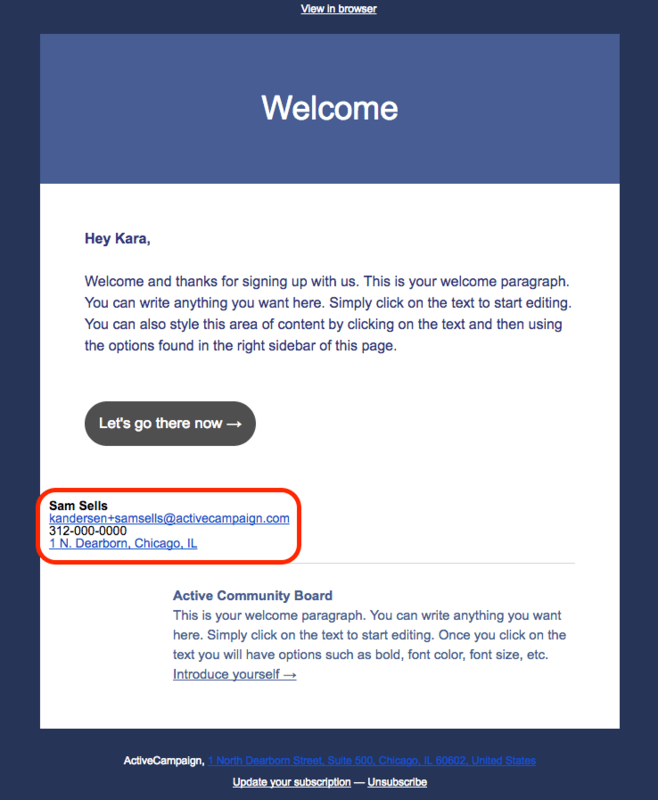 If you'd like some fresh ideas for using conditional content in your emails, this guide is for you. Understand how conditional content can help improve your messages' relevancy and personalization with three use case examples provided in this guide. Conditional content provides a way to target your messages to contacts based on specific custom fields or tags. You can use conditional content in campaigns, as well as emails within an automation. Conditional content makes messages more relevant and personalized to contacts, which in turn helps you improve email performance, establish a stronger connection with your audience, and nurture relationships with contacts. In this guide, we’ll provide three examples of when conditional content is useful and how you might implement it in your emails to improve message relevancy and further customize content based on your contacts’ interests and behavior. You can use conditional content with tags to personalize content based on specific interests. For example, if a contact repeatedly visits your Product A page, you might use an automation to tag them based on their interest (“Interest – Product A”). You can then use conditional content to cross-sell to this contact in a campaign email, if you believe your contacts who are interested in Product A would also like Product B, for instance. Click the OK button when you’re done. Now this content block will only appear to contacts who have the “Interest – Product A” tag. Be sure to create an additional content block with an image of Product B, made conditional for those with the “Interest – Product A” tag. An image of Product B will further improve this cross-selling opportunity. You can use geographical data like a contact’s city or country to create conditional content. Let’s say most of your contacts are geographically located near three major cities, and you’d like to send a campaign email containing an image of one of these cities, depending on your contacts’ geographical location. The purpose of doing this is to further personalize the content of your email by including the image that will resonate best with each contact. Now this photo of Chicago will only appear to contacts who have Chicago listed as their city in your contact database. Repeat these steps to create conditional content for New York and L.A. as well. Finally, you may not have geographical location data for all of your contacts, or they may not all be located in one of three cities. So we recommend conditioning an additional photo to appear to contacts NOT located in Chicago, New York or L.A. This helps you cover all your bases and guarantees that a photo will display in the email for all contacts. Then, click on the Add Condition button and repeat for New York and L.A. When you’re finished, click on the OK button. You’ve now conditioned this photo to only display to contacts who are not located in one of the three cities for which you’re including conditional photos. If you manage a sales or administrative team, you can use conditional content to include personalized signature information in campaign emails. You’ll first need to create two custom fields: Assigned_Sales_Rep and Assigned_Sales_Rep_Email. Click here for step-by-step instructions for creating new custom fields. Once you’ve created your custom fields, navigate back to the Campaigns section of the platform and click the green New Campaign button to begin building your campaign email. Once you’re in the email builder, add a new content block to your campaign email, as in the previous examples. Once you’ve finished adding your signature information, click on the gear icon that appears next to the content block and select “Make conditional.” Select the Assigned_Sales_Rep custom field from the dropdown menu, and type in the name of one of your sales reps, “Sam Sells.” Click the OK button. You will need to add an additional content block and repeat these steps for every member of your team. So if there are three sales reps on your team, you’ll need three content blocks total, containing conditional signature information. This is another example of how conditional content saves you time and effort by allowing you to create just one campaign email, instead of one for each team member. If you want to work more efficiently without sacrificing the amount of personalization you use in your content, you will find conditional content very useful. Remember, this feature allows you to craft hyper relevant messaging for your contacts without spending a lot of time creating multiple emails. To learn more about using conditional content, read our introductory guide. For more how-to’s, check out this Help article on using conditional content.